Helen Kalandadze who co-hosted the Junior Eurovision Song Contest 2017 in Tbilisi, Georgia will be commentating on this years contest. 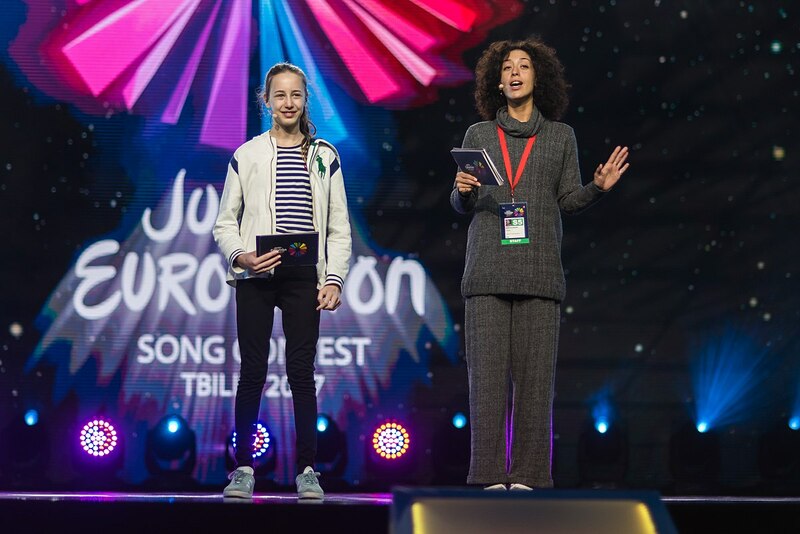 Helen Kalandadze who hosted the Junior Eurovision Song Contest 2017 alongside Lizi Pop will be providing commentary for this years Junior Eurovision Song Contest in Minsk, Belarus. Helen will be joined by George Abashidze who is a member of Iraio who represented Georgia at the Eurovision Song Contest 2018 in Lisbon, Portugal. Helen Kalandadze not only hosted the Junior Eurovision Song Contest in Georgia last year but also attempted to represent Israel at the Eurovision Song Contest in 2017. While Iriao finished 18th in the second semi-final of the Eurovision Song Contest 2018 scoring a total of 24 points.